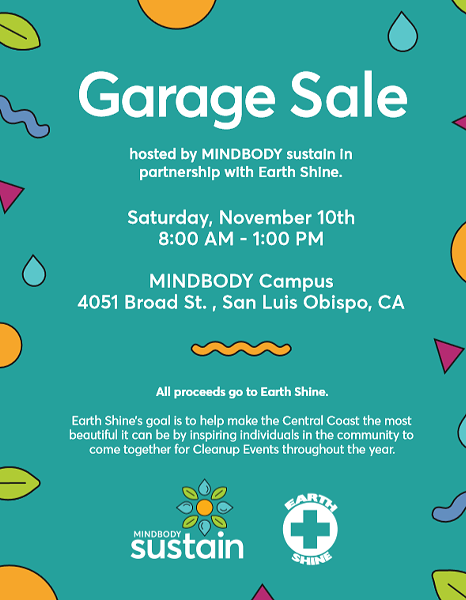 The Mindbody Sustain team is partnering with Earth Shine to host this sale. All ages welcome. Proceeds go to Earth Shine.